Taft – Anita Diaz Guerra passed away peacefully October 13, 2018 with her loving family at her side. She was 87. Anita was born in San Antonio, Texas on February 15, 1931 to Julia (Natera) and Guadalupe Diaz. 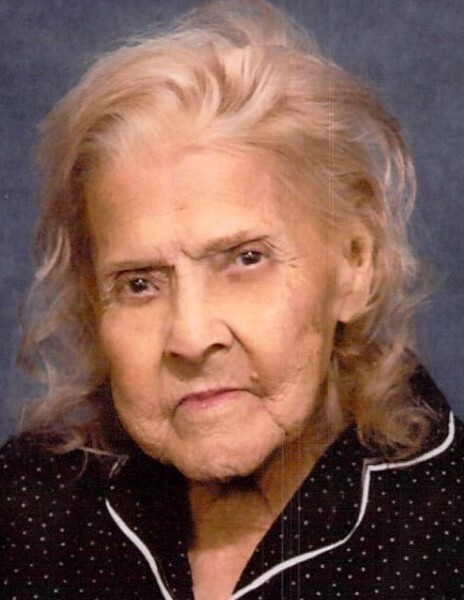 She was a resident of Refugio, Texas for 22 years, and former resident of Taft, Texas. As a young woman, Anita worked on shrimp boats in Port Aransas, Texas. She later started her own cleaning business and worked for Dr. Jenkins in Taft. Anita was also a busy homemaker. She was a loving wife, mother and grandmother who will be dearly missed. Anita is preceded in death by her daughter, Ruby Guerra; and 4 grandsons: Victor Nunez, Manuel Nunez, Sammy Plata and Antonio Hernandez. Survivors include a son: Trinidad Nunez of Taft, Texas; 6 daughters: Anna Marie Rivera of Taft, Texas; Olivia Hernandez of Minnesota; Alicia Benavides (Martin) of Aransas Pass, Texas; Margie Saenz of College Station, Texas; Sylvia Lopez (Enrique) of Alvarado, Texas; Elisa Guerra of Refugio, Texas; 35 grandchildren; numerous great-grandchildren; numerous great-great grandchildren; and brother: Gilberto Diaz of Taft, Texas. Visitation will begin Tuesday, October 16, 2018, 8:00 AM at Resthaven Funeral Home Chapel, Sinton. A holy rosary will be recited the same day, 9:00 AM, at the funeral home. The Funeral Mass will follow, 11:00 AM at Immaculate Conception Church in Taft with burial in Taft Memorial Park Cemetery, Taft.